One of the benefits of the Rotorua Canopy Tour is that you get the opportunity to see many types of fungi in the native forest. 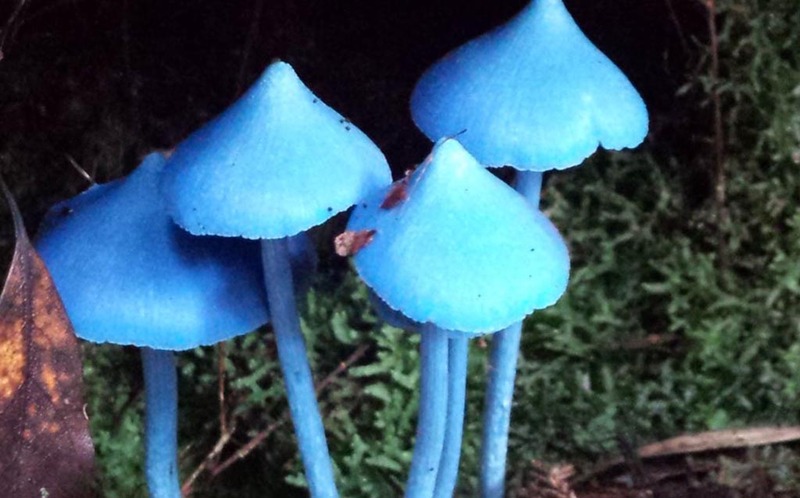 The blue mushroom is a type of fungi that is very eye catching and can be found in the Dansey Road Scenic Reserve. The Dansey Road Scenic Reserve is where Rotorua Canopy Tours take their customers on a eco-tour, ziplining through New Zealand native forest. The bright blue fungi is hard to miss on the forest floor so have a look out for it while you are on your Rotorua Canopy Tour. The bright blue colour of the fungi resembles the blue wattle of the kokako bird which is an endemic bird to New Zealand. It is apparently known that the blue wattle on the kokako bird comes from the kokako rubbing on the blue fungi. That is how the blue fungi and the kokako have a connection with one another. The blue fungi is featured on the New Zealand $50 note. You can find it on the left hand side of the note near the kokako bird. It is still unknown whether the blue fungi is poisonous or not. However, we do know that it is not edible. The blue fungi was one of six native fungis that were featured on an 80c postage stamp released for sale in 2002. Aswell as the blue fungi being found in New Zealand native forests, it is also found in South America (Brazil) and India. 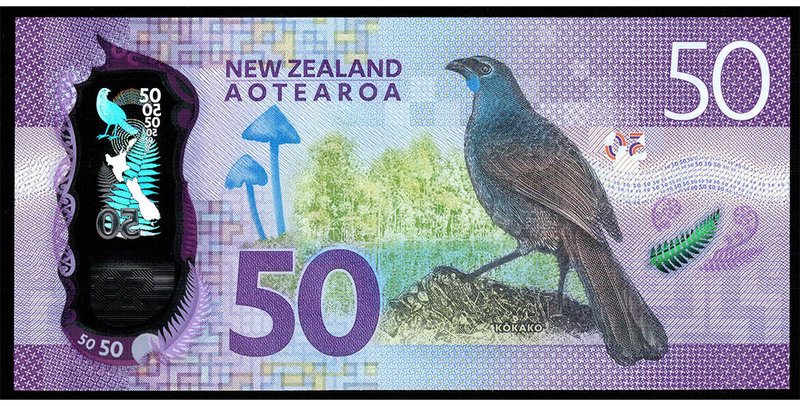 Photo: New Zealand $50 note featuring the blue fungi and the kokako bird.